Undergraduates are encouraged to participate in a variety of research experiences, including honors research, special projects, and summer research experiences. When am I eligible to begin research? Some students begin research as early as first or second semester, but most start during their sophomore or junior year. 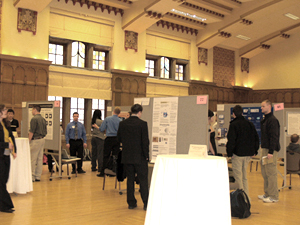 Students can participate in undergraduate research both during the academic year and/or during the summer. How do I obtain a research experience? Students obtain research experience in a variety of ways (both on-campus and around the country and globe) - through their professors and department, the National Science Foundation, Discovery Park, for-profit companies, non-profit organizations, and personal contacts. For more information about obtaining a research experience, talk to your academic advisor.